De-Clutter. Stash Down. De-Stash. Organizing. Which ever you do to remove the old, unwanted items from your studio, you know it feels great when you’ve unloaded those extras. Our local stitch groups held a really, really free Stitch Swap to help each other with a bit of spring cleaning. 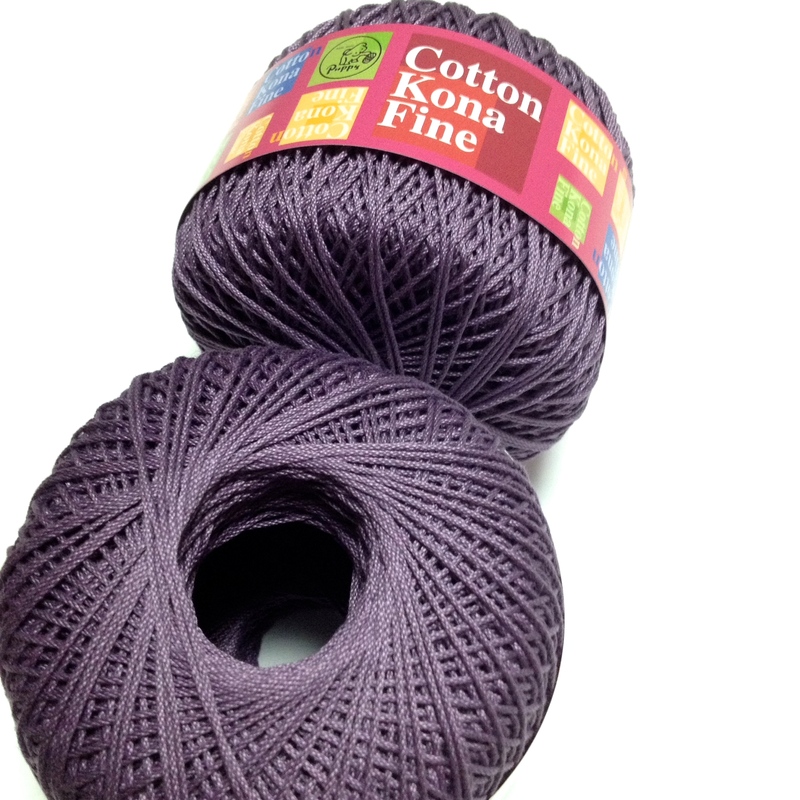 Some members are moving back to their home country so we all had a good selection and a great opportunity to try out new yarns and supplies. So how did I do? Weight-wise I came out ahead, I took heavier items and returned with much smaller lighter-weight items. 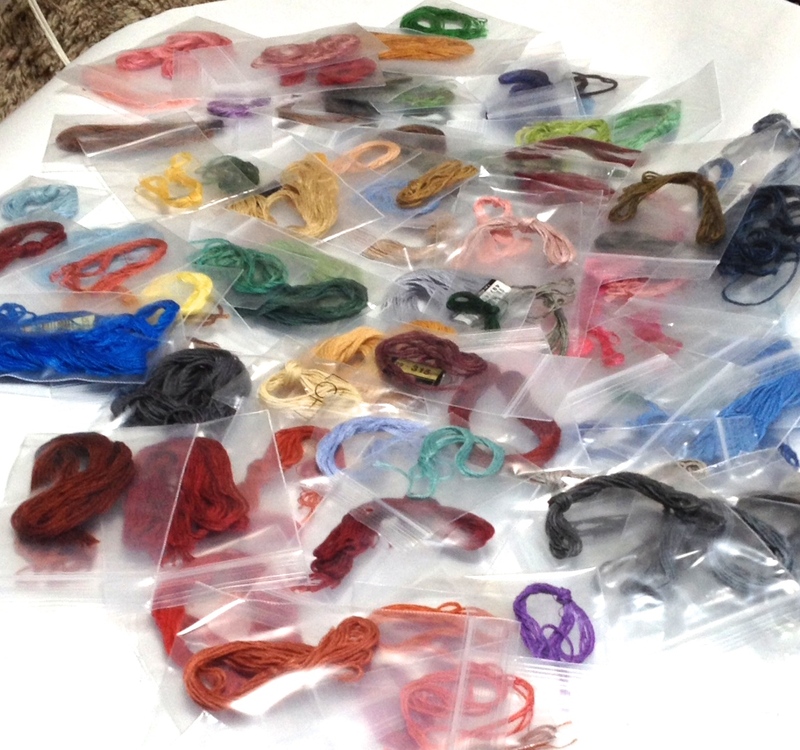 Just last week I was wondering how weird I would look to pick up one of each color of embroidery floss from the huge bank of DMC & Lucien drawers of floss colors. I’ve saved myself the embarrassment by picking up a big messy, ball of floss. 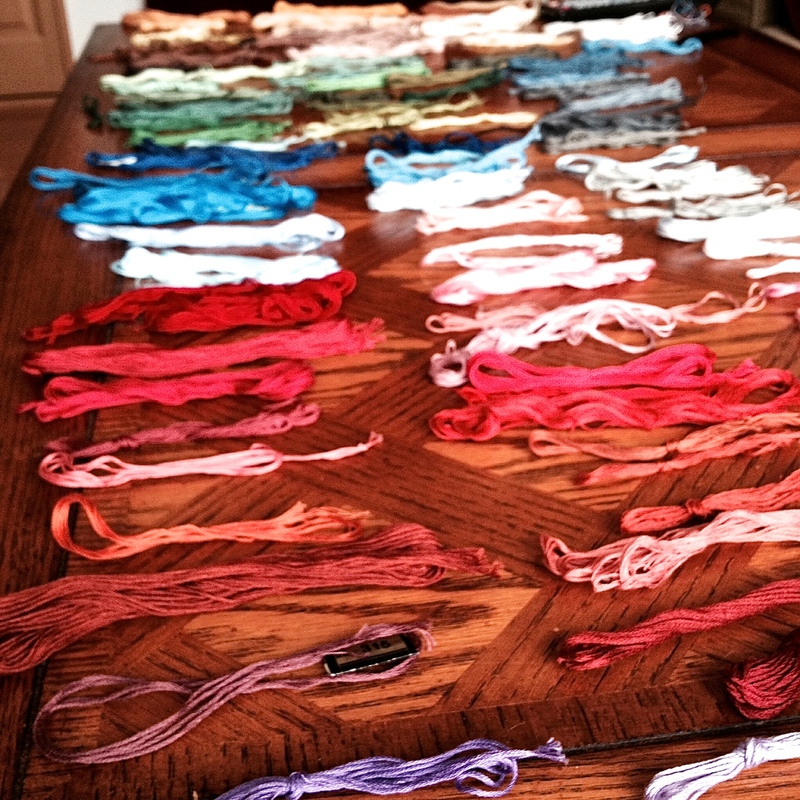 After an hour of organizing I am now the proud owner a huge rainbow of floss colors! 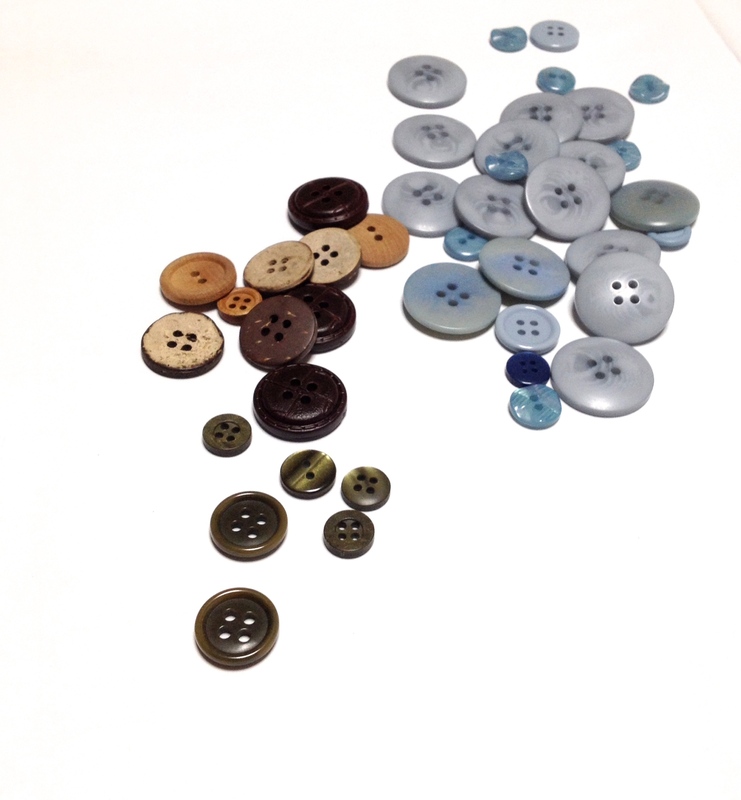 A piece of leather and buttons in just the right colors to enhance my art book ideas. 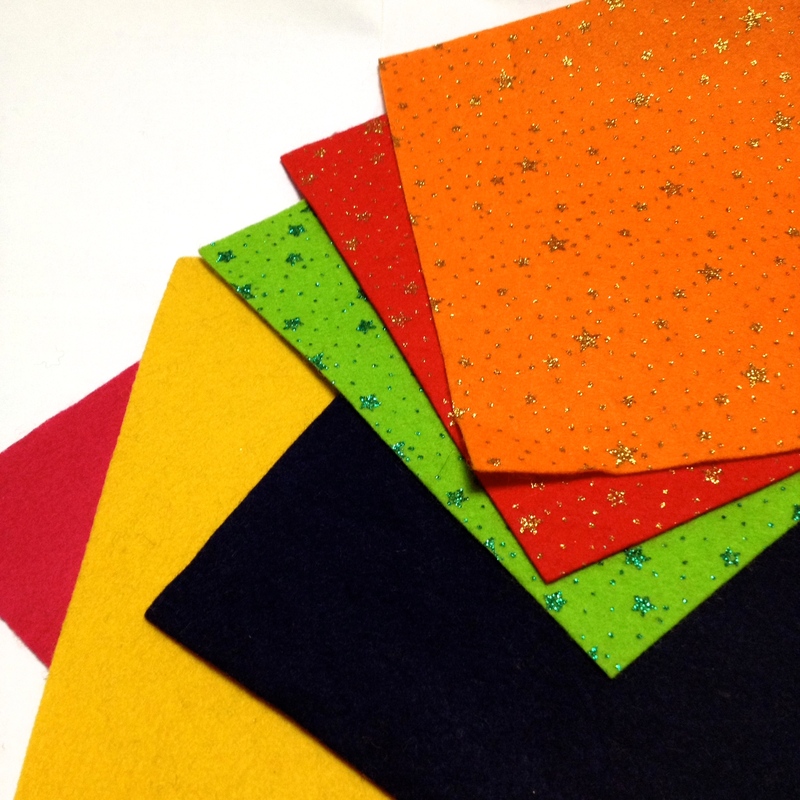 Sparkly Star felt and plain felt for a SuperStar Sewer project. Purple. I just can’t resist Purple.